CarGurus has 1,035 nationwide DTS listings starting at $2,988. 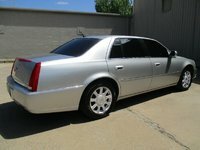 The 2011 Cadillac DTS lives on and offers up many of the same features that marked its debut in limousine form for the second inauguration of President George Herbert Walker Bush in 2005. 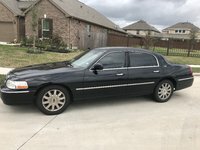 It provides a smooth, extremely roomy, comfortable and luxurious ride in the grand American auto-as-big-boat tradition. Rolling out with “W” was perhaps fitting for the DTS, which was the next generation of Cadillac’s DeVille. The car carries itself in a conservative, presidential manner and has been a vehicle of choice for those transporting politicians, celebrities and others of that ilk. A 4.6-liter Northstar V8 that produces 275 horsepower and 295 lb-ft of torque powers most trims of the 2011 Cadillac DTS. Cadillac pairs that engine with an electronically controlled Hydra-Matic four-speed automatic transmission with overdrive for a combo that gets 15 mpg city/23 highway. The top-of-the-line Platinum trim has a 4.6-liter V8 NHP engine that creates 292 horsepower and 288 lb-ft of torque. That powerplant teams with a Hydra-Matic four-speed transmission with performance shifting for 15 city/22 highway mpg. A vehicle made for cruising, the DTS, which has been rumored to be on the way out as a model for a couple of years, leaves the sporty side of things to Cadillac’s rear- and all-wheel-drive STS models. At 207.6 inches long and 74.8 inches wide, the DTS is the big boy of the family. The DTS rides that way, quietly chewing up highway mileage and always ready for long excursions, either with the family for pleasure or business trips. Some reviewers complain that it handles like a big rig, too, and is not particularly responsive. They aren’t fans of its four-speed transmission, either, when five- and six-speed versions are common in other vehicles. Owners don’t seem to find fault with any of that and tend to love the ride. The large trunk, by the way, will hold all kinds of luggage for that family getaway. Or it will handle four golf bags. Reviewers praise the tasteful interior of the DTS, its design and quality materials and roominess for passengers in particular. Bucket seats pamper the driver and front passenger, but an optional bench seat can turn the DTS into a rare six-seater. General Motors packs the 2011 Cadillac DTS with goodies, as would be expected, from a base trim that starts at about $47,000 on up. Features include heated seats for the driver and front passenger, leather seats, a navigation system and heated side mirrors, also for driver and passenger. A driver information center provides updates on data such as miles’ range, average and instant miles per gallon, tire pressure and oil life. Safety features include antilock brakes, brake assist, traction control, side guard door beams and an array of airbags: driver, passenger, front side and side head curtain. GM upped the ante in required maintenance with the 2011 Cadillac DTS as well as its other 2011 models. Oil changes, tire rotations, engine and cabin filter replacements and vehicle inspections are among the check-ups that will be provided free for the first 50,000 miles, or first four years of life, of any 2011 Caddy. What's your take on the 2011 Cadillac DTS? 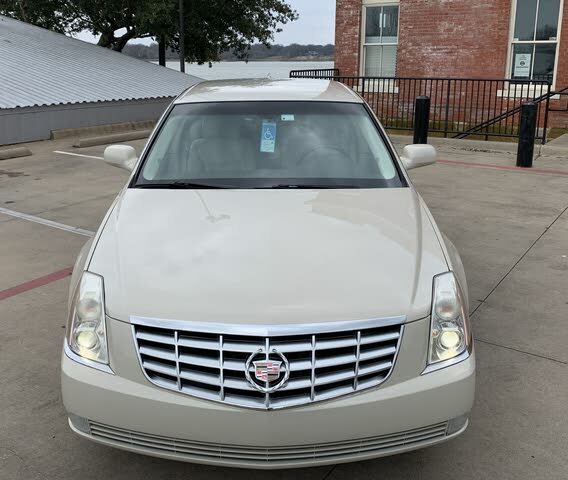 Have you driven a 2011 Cadillac DTS? I am trying to find out about a smell of what I think is hot electrical. I cannot locate where it is coming from. Sometimes you can smell it on the inside. I want that 2011 Dts premium in tricoat pearl white with 52,000 miles on it. I live in St.Louis West County suburbs. Wonder if it could be transfered to your St.Louis Car Gurus locatiin?